Search "mixer" 32 results have been found. Direct recording onto USB storage devices possible A USB port (Type A) is installed on the top panel. 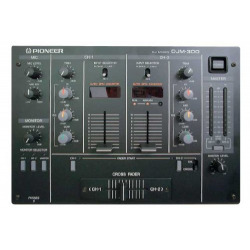 Users can record their own DJ MIX directly to a USB storage device without having to use a computer or recording device. 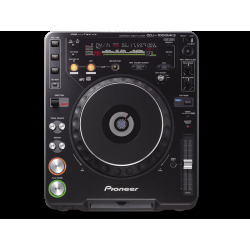 As recorded DJ mixes are saved in the WAV file format, they can be imported and listened to on a PC or portable audio player. Dive into the 16 multi-function backlit performance pads and add loops, launch samples, and control hot cues to your performance. 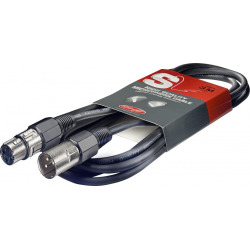 Use the multi-function touch strip for dynamic FX control and track search operation. There are dedicated filter knobs for each channel, to give you the tonal control you need for that perfect sound. 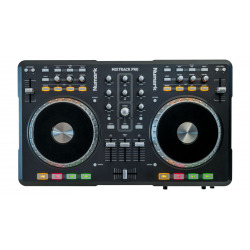 MP3 SupportThe MP3 audio format has taken the world by storm and now the CDJ-1000MK3 can play all your MP3s; CBR or VBR at any bitrate from CD-R or CD-RW. 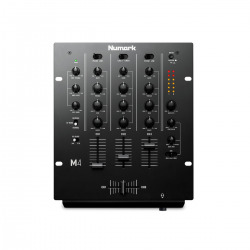 Now that we've determined that you need a powered mixer, why should you choose a Yamaha? Start with a solid reputation for professional quality based on more than 25 years experience in the field. 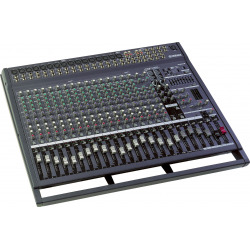 he Wharfedale PMX500 is a 5 channel powered mixing desk with built in FX for use with small to medium sized passive pa speakers. 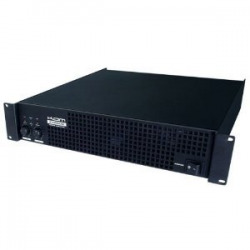 KAM KXR600 is a professional power amplifier which is suitable for various PA applications including disco/karaoke, background music, installation in bars and pubs. Housed in a black robust metal case, the KXR600 is equally at home on-the-road as it is house in a rack-case as part of a permanent installation. 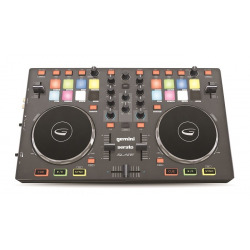 The Gemini Slate DJ Controller has RGB backlit pads, newly designed capacitive jog wheel, and a familiar layout designed to feel comfortable for all DJ's from beginner to professional. The perfect companion for todays thin computers you can easily travel almost anywhere with the thin (25mm) and light SLATE. 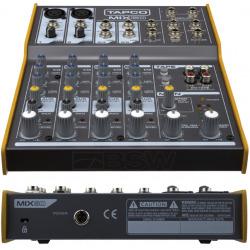 he Tapco Mix 60 is a simple and ultra-compact mixer featuring 2 x mono mic/line inputs on XLR & 6mm jack and 2 x stereo line inputs on 6mm jacks. 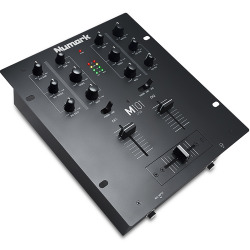 The Numark M4 is a three-channel professional mixer designed for any DJ who needs maximum flexibility. 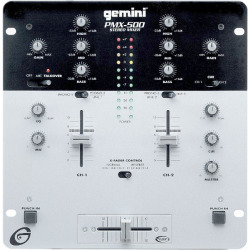 It features a replaceable crossfader with reverse and slope controls, a microphone input with EQ, and plenty of routing for phono and line level devices.